Just days after Apple unexpectedly announced it would no longer disclose quarterly unit sales data for its iPhones - a move which spooked markets over fears of declining demand and sent Apple's market cap back under $1 trillion - on Monday we got another indication of why Tim Cook decided to do away with the long-running practice: according to the Japan's Nikkei, Apple signaled "disappointing demand" for the new iPhone XR, telling its top smartphone assemblers Foxconn and Pegatron to halt plans for additional production lines dedicated to the relatively cost-effective model that hit shelves in late October. "For the Foxconn side, it first prepared nearly 60 assembly lines for Apple's XR model, but recently uses only around 45 production lines as its top customer said it does not need to manufacture that many by now," a source familiar with the situation told the Nikkei. That means Foxconn would produce around 100,000 fewer units daily to reflect the new demand outlook - down 20% to 25% from the original optimistic outlook. Another Taiwanese manufacturer, Pegatron, faces a similar situation, suspending plans to ramp up production and awaiting further instructions from Apple. "The utilization for the XR production is not reaching its maximum capacity now," the report said. Apple also asked smaller iPhone assembler Wistron to stand by for rush orders, but in yet another confirmation of a sharp drop in demand for iPhones - at least on the lower end - supply chain sources say the company will receive no orders for the iPhone XR this holiday season. 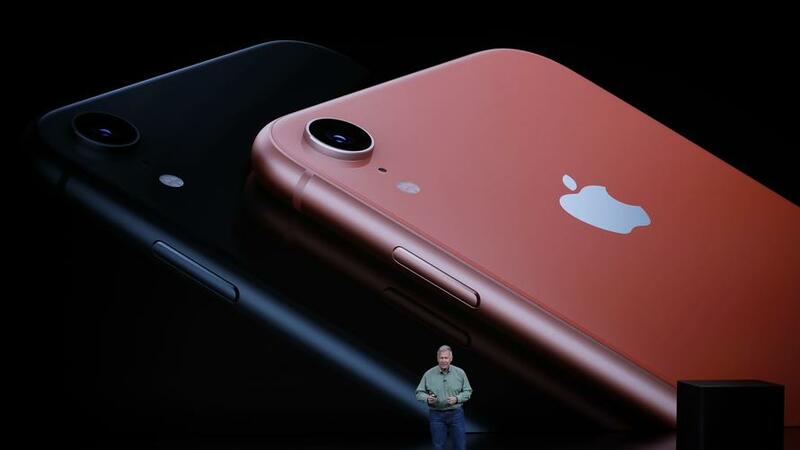 For Apple and its investors, the change in strategy is a disappointment: Tim Cook had great expectations that the iPhone XR would jump-start shipments this year. This lower-cost model debuted alongside the iPhone XS and top-of-the-line XS Max. Instead, the Apple is requesting more of the older iPhone 8 and iPhone 8 Plus models, which are up to 20% cheaper than the XR's starting price of $749. Worse, the shift to add orders for year-old iPhone models while suspending extra production for the latest product illustrates Apple's lack of innovation and inability to energize consumers with such a pricing strategy. Last year, Apple gave rush orders for the iPhone 7 series following the launches of the iPhone 8 series and premium iPhone X. Another reason why Apple will no longer want investors to have transparency into its selling woes is that it faces a quickly maturing smartphone market. Worldwide shipments, which slipped 0.1% in 2017 for the first year-over-year decline, are expected to contract again in 2018, according to IDC. China's Huawei Technologies snatched Apple's global No. 2 smartphone share for two straight quarters this year. IDC statistics show Apple's shipments trailed Huawei's during the quarter ended in September. Apple's combined iPhone shipments grew only 1.37% on the year over the first nine months, IDC's data showed. Worse, according to some caluculations, Apple's holiday quarter forecast suggest a decline in iPhone unit sales in what is normally the strongest quarter for the Cupertino-based company.